For what purposes can the classic camera survive the smart phone? Given that smart phones have evolved to have multiple cameras with high pixel counts and cutting edge processing, in what niches will classic camera forms survive. At present, manufacturing inspection, outside of computer vision, steel fab plants engineering shops, real estate development progress shots for management review are done with smart phones. So what niches will keep the camera with real telephoto and the like from going extinct. That is a bit of a strange question if you limit it to "the camera with real telephoto and the like". Smartphones, for most of their users, serve a single use: vernacular photography. Basically: pictures of themselves (mostly) and their friends to show around. Other cameras are better for anything else, but that anything else is probably less than 1% of the total of photographs taken. People simply want a picture of themselves to show to their friends (and enemies, if they would look). It has always been so. Smartphones simply replaced disposable cameras and then small digital P&S. This 1% of pictures is what photography sites present. But don't let that fool you: it is, in volume of pictures taken, a small minority. Every workman assigned to fix a roof, paint a car, remachine a part in a workshop, check out a new real estate property to purchase uses a cell phone to document their progress. It is, at least in the USA the normal way of assessing how well a job is carried out and what adjustments need to be made. What's even more important, the picture or video is transmitted immediately. Perhaps habits are different in Europe and business uses digicams, but here, all workmen carry cell phones and are taking pictures to communicate how they are doing. I imagine this is true in theater and music performance too. The cell phone has become a necessary part of the workplace, even replacing photocopying as its faster and gets to the stakeholders immediately. No need to change lenses, there's more than enough resolution. But perhaps the cell phone actually created, (or at least expanded), this use of pictures in the workplace and has not displaced the digicam or larger camera. I have seen the claim that most pictures today are taken with smart phones but I do not know the truth if it! I have no idea how this is done in Europe, but I imagine it is the same. It simply is the most convenient solution to the stated problem. I would think so. In my time, workmen took no pictures. That reference isn't clear to me. First it seems to have iPhones being most common, then in another table it cites "models" instead of gross counts. From this table it seems that Samsung has more "models", but do they mean the counts of users. V. Unclear! The professional camera, shooting models at 10 frames a second as she moves in the Profoto lit light field, with the strobes keeping pace with the frame rate, is pretty safe from competition from a smartphone. Same with a heavy tripod setup and pixel shifting with Sony phase One, A7RIII, Pentax or Olympus with pixel shift in making heirloom documentation of precious paintings in a museum or for forensic research will better a smart phone for at least the next 5 years. Similarly, single super wide angle or longer shots of detail rich landscapes will be better with such professional cameras. Probably, cameras have improved so much that the APS-C camera is now "today's full frame" tool for almost all pro wedding shoots and a camera like the A7RIII becomes the de facto small MF camera, except it has more lenses! There is really no need for most folk to use anything more than a pro-grade Olympus or Panasonic 4/3 camera. If I was doing weddings I'd use 2-3 of those, (4/3 or APS -C) and one A7RIII/5Ds/Nikon 7800), for the bride shots to be blown up. But actually, nothing more than a Sony or Canon Digicam could suffice for nearly all the wedding shots. Only problem is that it doesn't look professional enough! The forensic version of the Canon line have files that can't be altered surreptitiously, are king at the moment, but a forensic iPhone is possible too! What else? Video camera will encroach on still camera territory as AI is introduced and still can be extracted from the video. This is a very dynamic time and the smart phones have 10 million folk to spread the cost of the newest advances for each iteration, so they can advance relentlously. Only the smartest high end companies who can leverage these advances will be left in the market. Thank goodness there is a lot of cross licensing. A company like Sony can plough back know-how from cutting edge smart phone sensors to offer classic DSLR or mirrorless camera MFRs these advances in their larger Sony chips! It really depends on what you are after. For certain types of images, our eyes have been educated since the 60s to the particular optical defects arising from the use of fast, typically f/1.4, lenses on a 24x36 sensor. To recreate the same feel one simply uses a vintage fast lens on a 24x36 digital camera, an APS-C will not really do. That's true and then how does one reproduce the look of a Petzval on and 8x10 or larger. Everyone has their own favorites. But for modern work, one can earn a living with a 4/3 sensor! One can earn a living with plenty of things, although, frankly, wedding photography had better days. The question is always: what do you want, as a photographer? A camera is a tool. If your job involves posting selfies on Facebook, probably a cellphone is a better tool. If your job involves a customer that will be impressed by gear, probably less so. If your job involves reproducing thousands of objects for catalogues (which I believe is the bread and butter of most real "pros"), a MF camera maybe a better tool because of tethered shooting. If your job involves aerial photography, a 100 megapixel camera will cut flight time. If your job involves doing unique portraits for art exhibitions, a sheet of Cibachrome at the back of a camera obscura may be an adequate choice. All this is photography, a broader field than most people realise. Why do you leave out "full frame" 35mm cameras from "tethered shooting". Are there special limitations today for 30-50 MP cameras to be used tethered for product work? The pros I know who use tethered shooting in a studio all use MF cameras, but maybe for historical reasons as MF manufacturers were the first to offer these solutions over 10 years ago. Maybe a workable solution is available for 35mm cameras today, I am not sure. I have a friend who used to work for the FBI. He was a forensic photographer. He was involved in the transition to digital, field testing the Nikon D1, which was deemed to not be suitable, incidentally. It was interesting to hear how digital cameras had changed how forensic photographers work. I don't think the iPhone would ever gain widespread use in forensics because of the possibility of being hacked and the difficulty of attaching flash. In general use, traditional cameras offer more control, and higher image quality, for those who desire it. Cell phones are getting better all the time though, and Apple probably spends more money on camera R&D than all the camera companies combined do. I used my iPhone to make a panorama by moving the phone the other evening. The phone realized I was moving it too quickly so it told me to move slower! The phone realized I was moving it too quickly so it told me to move slower! Regular cameras with a panorama function do the same. With stitching, one can make very believably impressive pianos with a cell phone. With the latest iPhones one can simulate a dreamy b.g. bokeh of a regular wide aperture portrait lens. Still, right now, dedicated cameras do it better. Things are moving and pro-cameras are only at the cusp of employing all these advances. So the tools are improving. It is and will be amazing! Well, I must admit that is particularly impressive! I love it and even with my iPhone 6+ I can’t do better! Bösendorfer pianos are amongst the elite of the finest musical instruments. They come from Austria. To me, however, they also contains the voices of so many destroyed people! I wondered why Jews were hated and killed, so for decades I have made myself a scholar of the tragedy that befell the Armenians in the Ottoman Empire at the turn of the 19th Centry culminating in a highly organized mass genocide! Sadly, during the Talaat Pasha and his triumvirate-organized campaign of ethnic cleansing/displacement & genocide against the Armenian Christians, these pianos ended up as unwanted spoils. It was at the time the lights went out for decades in the Ottomon Empire. Turkey was under naval blockade by the allies. Now the “Young Turks” and their Empire-wide Telegraph-connected network of gestapo-like “Appointed Secretaries, expelled and herded the educated Armenian merchant and farming Armenians out of towns and villages. The Armenians left behind factories, homes and farms for which they were given carefully documented receipts. Wealthy Armenians even paid for cavalry guards and wagons to be repatriated to new designated areas for them. It was a farce. The Armenians tredged mostly on foot. Their possessions were strapped precariously to horse-drawn wagons. Miles from home, the Cavalry first took the prettiest girls and best carryable possessions. The Circassian, Kurdish and Arab gendarmes recruited from jails were now in charge and took their spoils. The massive and glorious Bösendorfer pianos were often piled up high and set on fire for warmth of the guards at night! Married women were sold in batches to Arabs trading bands for harems and brothels and young girls as servants. Remaining married women without their bands were gutted and the intestine run through looking for swallowed rings. Clothes were burnt to retrieve bracelets, necklaces and gold coins! Studying that genocide was the way I learned of these venerable music instruments of a society I never had even imagined from by own cardboard-in-windows bare-thread childhood! So the name Bösendorfer has always meant so much for me in its richness and as a reminder of the darkness of much of the 20th Century. I work on many large projects. Cell phones are not allowed by company policy and one would need permission to take pictures. Although much is documented by owner representatives,engineering and prime contractor personnel, most is done with a point and shoot camera for reports. I think you missed Jerome's joke. I think he made the joke when you (with that damned Siri on your lap) said "piano" when I suspect you meant "pano". But it led to a wonderful, and wide-ranging, essay. So thanks to you both. Be sure to have Siri make an appointment for her spanking. Of course, there remains the question as to whether Ignaz Bösendorfer could have made such grand grand pianos like he did with a cell phone, if he had had one. But will they make bongo drums? @ Jerome, I should have shared my laughter too, but I am far to serious minded and my memories took over. My apologies.l! I didn’t miss the joke, I just went with the new image. You have to agree it’s compelling! For me it’s a trigger to a lot of horror and pain. I wish to both celebrate Jetome’s Wit and give some background to the place of this instrument in the culture of the Armenians. All the culture crops, machinery, bridges and mosques required Armenian brains and industry! Imagine tribal ruffians burning amongst the most elegantly crafted musical instruments for firewood and to clear the garbage theybhad no purpose for! 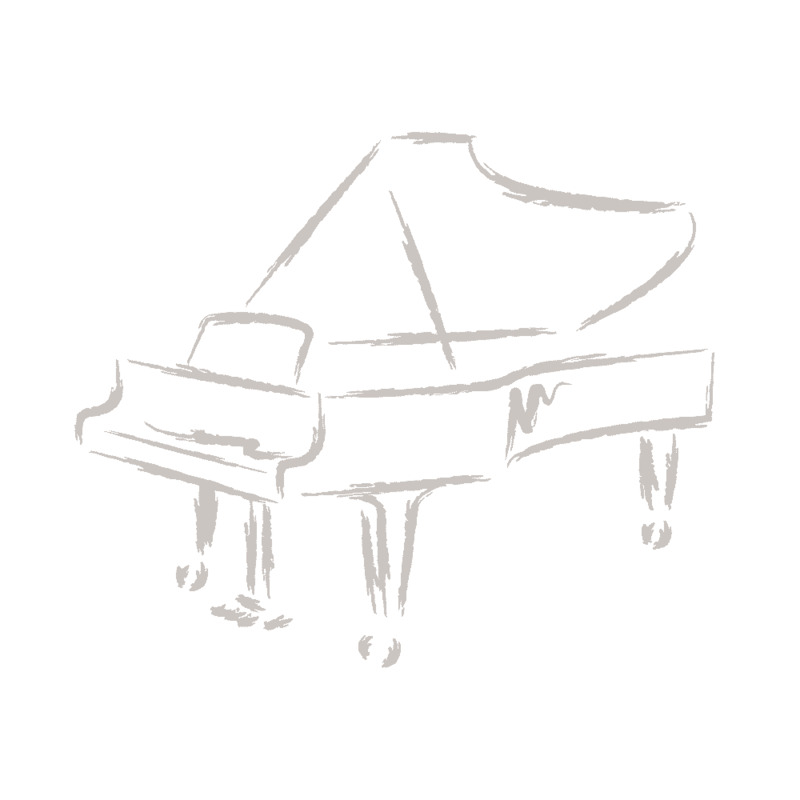 Maybe I should point out that I did not choose that particular brand, it was simply the first image of a grand piano I found. But I learned something about history. You often are a valuable guide for me! I embedded myself in very detailed study of the Armenian genocide. I try to understand both Ottoman and German motivations. I have attended ma not conferences with some of the foremost scholars of that period, including from a German Scholar who is also fluent Turkish and got access to actual original documents in Istanbul. A rare achievement! The term ”Brand” doesn’t apply to such elegant, esteemed and valuable objects. “Maker” would be more appropriate, at least in English. Brand is for more common objects like computers or the concept and process of corporate identity. So a scandal from Hyundai hurt their Brand”. In that sense it might be OK.
“Branded” is essential heating an iron marking tool and burning the cattle owner’s ranch symbol in to the skin of the living cattle! So it has sometimes a low class designation. But it’s variable. The BMW brand is bespoke. The Rolls Royce brand even more! It makes me feel good that we live in a better time. But, do we, really? I do! But we have homeless dwellings along main streets now. It has become acceptable. Cities remove park benches to dis-encourage homeless from sleeping in tourist spots! Blacks got their transient hero President, women got voting rights and contraception, Hispanics who were here got jobs and then enough of them voted for Trump that the xenophobic “white race” advocates now have an egotist and narcissist, (with no respect for facts or science), dividing the nation. The Journalists dismemberment to diplomatic suitcases is not important! Bombing of the Kurds, not important, bombing of the Houthi, not important, climate change, a hoax! Slaughter of Sunnis in Syria, Rohingas etc etc, forgotten! Mass shootings: nothing to do with guns! Yes, I have it better, but not those that America should champion! I am especially thrilled that you, Reginald, (love your work), read my off-topic rant, but I do get emotional and triggered by memories and conscience! One minute a flower or bird mesmerizes me, then a girl goes by and I adore her and I see some Bösendorfer piano and I’m a deer in the headlights, mortified and confused! The term ”Brand” doesn’t apply to such elegant, esteemed and valuable objects. “Maker” would be more appropriate, at least in English. You are right. Thank you for the correction. Back to Mobile Phones versus Pro Caneras! It’s you that more often sets me straight, an I appreciate your courtesy and forbearance. Back to pixels. ALL the cameras are improving fast, but today, the smartest technology is within pure research centers like universities or NASA .......or the mobile phone optics teams. Soon sensors will be made of 12 million individual Pixel cameras so that sensel wells will look at the arriving electrical charge and shut off when the standard error is sufficiently low. AI will predict shadow areas and it may not be necessary for the count of electrons to be even nearly completed as AI will estimate the exposure of remaining pixels. So low light photography and sharpness will improve. Now imagine all this being leveraged in a MF camera! The tools are improving and for the creative photographer, the files will be more robust and the results will be even more impressive images that store our juices and move us way beyond the magic cell phone! Perhaps that is why in the auto business the term "marque" is more often used than "brand", as in the marque "Lexus" (the manufacturer's name in any case being Toyota). Beauty? Elegance? Rarity? Depth? Value? Yes, Jim, this is why we need you. Your picture could not be created by any other means. The painting of the in focus image by OOF "angel dust" glow, (from the lens periphery), is to me so dream like and almost like prayer, hope and realization of the blessings we have! You made my day and inspired me!